NPR Music – www.NPR.org/music – is exclusively streaming Tell Tale Signs, the highly-anticipated forthcoming album from Bob Dylan, as of Tuesday, September 30 at midnight, one week ahead of the album’s release on October 7. The entire 2-CD, 27-song set will be available to hear on-demand at NPR Music for the week leading up to its official release. 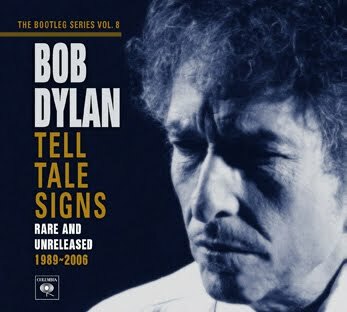 Tell Tale Signs is the 8th installment in Dylan’s “Bootleg Series,” and features previously unreleased recordings, live performances and alternate versions of songs recorded during sessions for some of his most acclaimed albums, Oh Mercy and Time Out of Mind among them. Also included on the album are Dylan’s recordings for the soundtracks of the films Lucky You, Gods & Generals and North Country, and “32-20 Blues,” his first ever release of a Robert Johnson song.